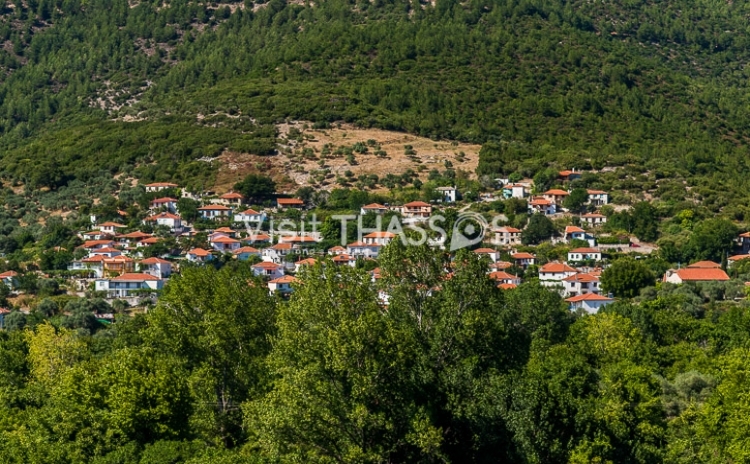 A few words about Rachoni..
Rachoni is a mountainous village in the northwestern part of Thassos with vast olive groves, which is said that are 900 years old. The first thing one sees just before entering the village is the church of the “Assumption of Virgin Mary” with a water spring flowing through its temple. “Assumption of Virgin Mary” commemorates the death of Virgin Mary and her bodily assumption into Heaven according to the beliefs of Eastern Orthodoxy and other churches. In Greece it is celebrated with particular splendor on the 15th of August and particularly in Thassos a three day feast is organized. Make a note that this is a public holiday in Greece. The crystal clear waters gushing through the rocks and the waterfalls that are formed from the springs of “Popos” impress every visitor. On the top of the mountain is the old settlement of Agios Georgios with its homonymous church, abandoned in 1880.